Christmas is a time for giving, eating, and spending time with your family. It’s also the only time of year where it’s acceptable to watch Christmas movies, which is a bit of a shame because some of them are really good. So get ready to hunker down on the sofa with a mince pie and a glass of wine, and watch yourself some of the best Christmas films you can get your hands on. It’s a little unorthodox considering this is also technically a horror movie of sorts. But Gremlins is set at Christmas time, and it is a hilarious tale with an adorable fluffy creature at the centre. Just don’t be fooled by the film’s fairly low-key first and second act, things go absolutely nuts with the arrival of the titular monsters. Fun, gripping, and Christmassy. What more could you want? 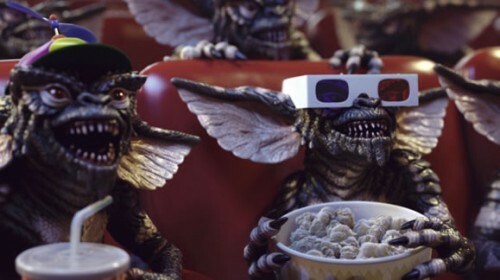 Gremlins can be seen on Sky Movies Horror at 12.30pm on Christmas Eve. It’s also available to buy from iTunes. 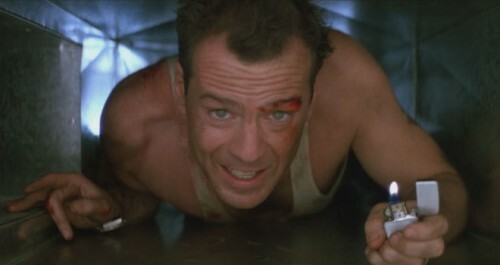 John McClane planned on spending his Christmas reconciling with his wife and reuniting with his family. Then Alan Rickman’s band of German terrorists showed up and spoiled the whole plan, leading to a new plot where McClane takes the terrorists out one by one. There’s lots of shooting, lots of violence, and lots of utterances of the word ‘motherf*cker’. It’s also a great reminder that no matter how bad your Christmas gets, it won’t end up quite like this. Die Hard can be seen on Sky Movies Christmas at 10pm on Christmas Eve. It’s also available to buy or rent on Amazon. What happens when you leave a young boy alone in the house over Christmas? All hell is bound to break lose at some point, but in this case it’s actually not Kevin McCallister’s fault since he has to defend his home from burglars. Shockingly his parents were allowed to keep custody of him long enough to lose him again in a sequel. 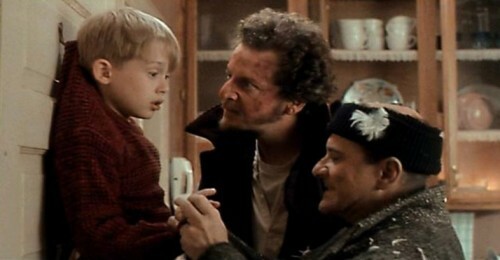 Home Alone can be seen on Sky Movies Christmas at 6.10pm on Christmas Day. It’s also available to buy or rent on Blinkbox. 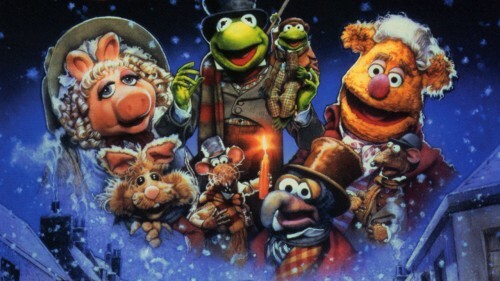 Not a single adaptation of Dickens’s classic can compare to the version we got from The Muppets. A fairly faithful adaptation of the book (aside from the inclusion of felt characters, of course), the movie follows Michael Caine as Scrooge on his journey through time. The Muppet Christmas Carol can be seen on Channel 4 at 6.50pm on Christmas Eve. 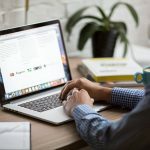 It can also be bought or rented on Amazon. The compilation tale featuring almost every classic British actor you can think of, Love Actually covers the relationship between love, Christmas, and everything else in between. Memorably stars Hugh Grant as the Prime Minister, Alan Rickman as a would-be adulterer, Liam Neeson as a grieving widower with a love-stricken stepson, and Rowan Atkinson as a bizarre shop assistant. If you want something heart-warming to spend a few hours with, this is perfect. 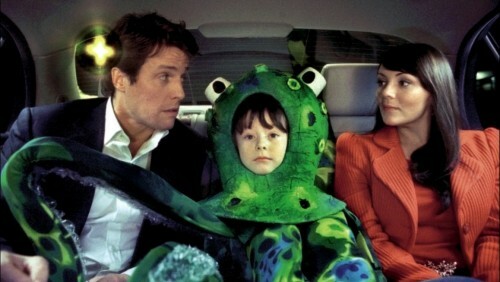 Love Actually can be seen on Sky Movies Christmas at 3.50pm on Christmas Day. It can also be bought on iTunes. The Grinch can’t abide Christmas, what with all the presents, and decorations, and *shudder* fun. That’s why he’s going to do everything within his power to steal Christmas from everyone and put an end to all that wretched nonsense once and for all. Won’t anyone be able to stop the miser from ruining it for everyone? 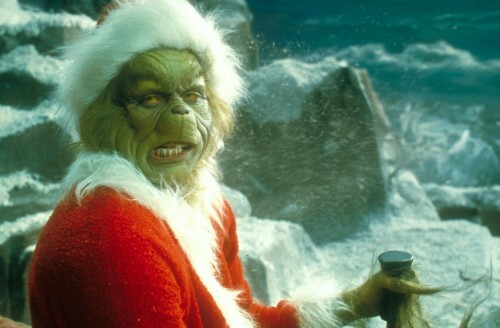 The Grinch can be seen on Channel 4 at 2.45pm on Christmas Eve. 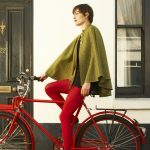 It can also be bought on Blinkbox. This film never did all that well back in the day, but thanks to the broadcast rights expiring it quickly become the one film that was shown every Christmas which cemented it as a classic. Phoebe from Friends may have not enjoyed all the misery present in this film, but it’s still a heart-warming Christmas classic that shouldn’t be missed. 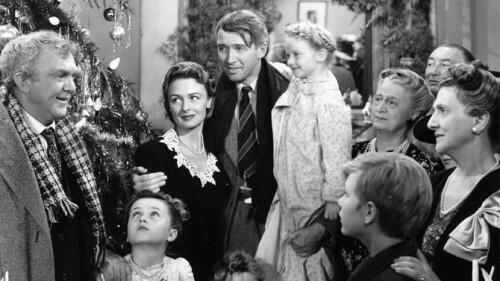 It’s a Wonderful Life can be seen on More4 at 4.10pm on Christmas Eve. It can also be bought on iTunes. Santa and his army of elves have to deliver billions of presents on Christmas Eve, just to bring joy to the children of the world. But disaster has struck, because one child missed out. To avoid ruining the poor kid’s Christmas, Santa’s youngest son Arthur has just two hours to deliver the gift with the help of his retired grandfather. 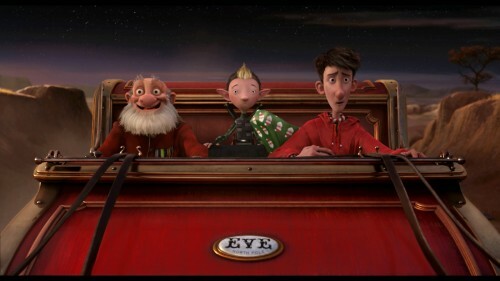 Arthur Christmas can be seen on Channel 4 at 6pm on Christmas Day. It can also be bought or rented on Amazon. 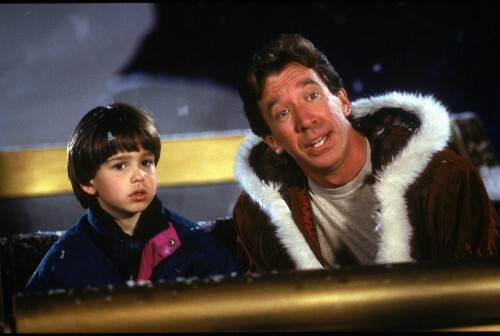 The Santa Clause can be seen on Sky Movies Disney at 4PM on Christmas Eve. It can also be bought on Blinkbox. A slightly different take on the story of Santa Claus, going back to the mythological roots of a being who would reward good children and kidnap the naughty ones to eat. When an archaeological expedition in Finland uncovers the burial site of the original Santa Claus, things start to go wrong in the local community. Reindeer are slaughtered, children go missing, and a strange man with a white beard has been seen lurking about… This isn’t your normal Christmas child-friendly adventure, so be wary of showing this film to your kids. Rare Exports can bee seen on Channel 4 at 1.55AM on Christmas Day. It can also be bought on iTunes. A film that’s part Christmas and part Halloween, The Nightmare Before Christmas sees the residents of Halloween town try and take on Christmas — with disastrous consequences. It’s a fun, macabre musical number from the mind of Tim Burton that should entertain the whole family. 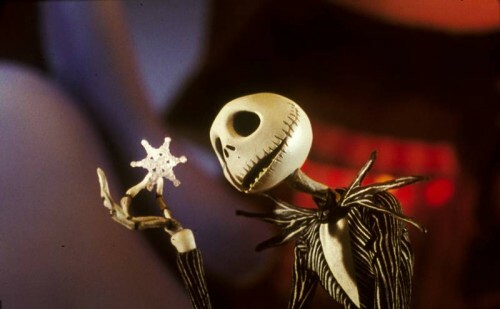 The Nightmare Before Christmas can be seen on ITV2 at 7.20pm on Christmas Eve. It can also be bought on iTunes. One of the few modern films that can be considered a must-watch each Christmas, Elf stars Will Ferrell as a child raised in the North Pole on is journey to New York City to meet his real father. It’s silly, it’s adorable, and it’ll have you up to your eyeballs in Christmas spirit by the end. Elf can be seen on Sky Movies Christmas at 12pm on Christmas Day, and it’s also on NOW TV.